Wide-open interstates. Tight, twisting two-laners. From the mountains to the prairies and everywhere in between, since 1991, Honda's ST™ 1100 sport-touring bikes set the standard. 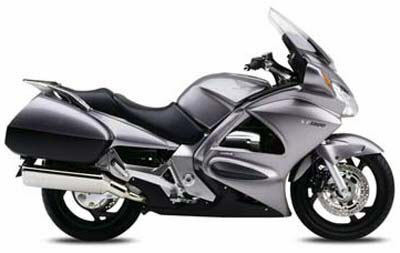 Now there's a new machine that raises the bar even higher-and that bike is the new 2003 Honda ST1300. note: This model meets CARB 2008 emissions standards.